Click here for Recycling Guidelines, it is in English and Spanish for your convenience. Post a copy above your recycling bin as a reminder, and share this with neighbors and family. There are several ways to reduce the amount of waste you generate in your home that would be sent to a landfill. At a products manufacturing point or at purchasing, practicing source reduction techniques can reduce waste even further. 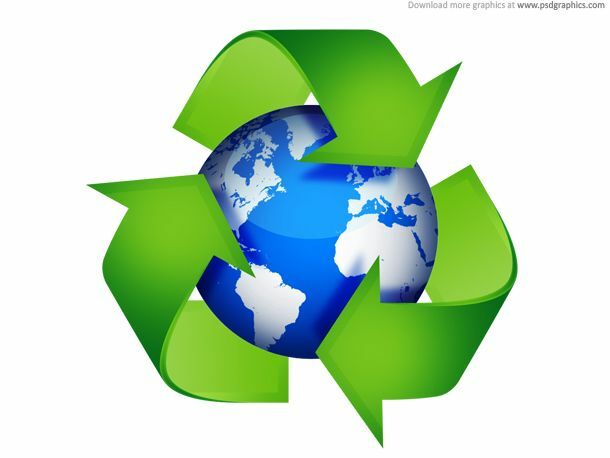 Source reduction is the reduction of volume of the waste through a products life cycle. This is achieved through the purchase of goods with less packaging, a longer useful life, and/or the ability for refilling or reuse. Simply by paying attention to packaging and selectively purchasing those goods that are more durable and will give you more long lasting use can accomplish this. Some manufacturers are making this easier by providing refillable products or reducing wasteful packaging. If you live within an incorporated area, your waste hauling and recycling rules will be most current through your municipality or village. This information is often available on their websites. In unincorporated areas, waste and recycling service is by subscription service. The resident is required to contact the hauler of choice and investigate the services provided. All residential waste haulers are to provide standard recycling in the price with waste services, in other words, there is no additional cost to recycle. Each hauler may have different containers and commodities that they accept. All haulers are offering "commingled recycling." Commingled recycling means that all commodities (paper, aluminum, glass, cardboard, etc.) can be placed in the same container. In most areas of the county, the recycling container can be any container if properly identified by label or wording stating its contents are recyclable. 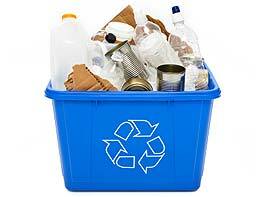 Lidded garbage cans, wheeled containers, or bins can be used for recycling containers. Some haulers do have stricter container rules. 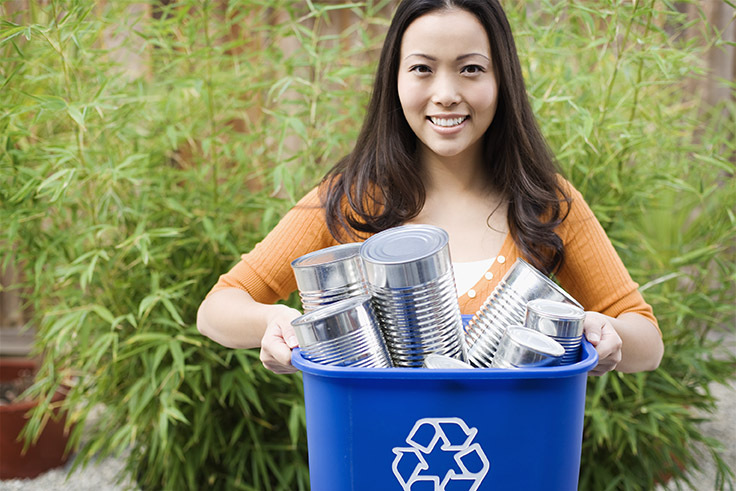 Recycling commodities such as glass, tin cans, plastic bottles, etc. do not have to be rinsed out prior to being placed in a recycling container. If a resident decides to rinse prior to recycling to minimize pest or pet enticement, it is allowed, but not required. Click to read about The Recycling Bin's Dirty Dozen, a list of the worst recycling contaminants that should NOT go in your recycling bin. Technology has created a new waste-stream, electronics. Electronics don’t last forever and some items such as phones, laptops, and games need to be replaced every few years. Some other types of E-waste have longer life spans, such as TVs and desktop computers. Proper disposal of E-waste is now a state law to protect our environment from the heavy metals (i.e. lead) that can leech into our soils and groundwater. These wastes are banned from landfills and other options must be utilized. If you have further E-waste recycling questions call us at (630) 553-9100 for more information. Properties within the town limits of some municipalities are served by waste haulers that will pick up electronics (including TV’s) curbside for recycling. For general questions, please contact your waste hauler. For more information regarding curbside services, please select your town. The village of Montgomery currently hosts monthly recycling events. For detailed information on these events, including a list of accepted items, please click here. This is not a complete listing of all potential local electronics retailers. Programs are subject to change. Please call local electronics retailers before visiting to learn availability of programs and items accepted. Household hazardous waste items consist of leftover household products such as cleaning products, pesticides, motor oils, and other chemicals. These items can contain hazardous ingredients and require special care for disposal. For more detailed information regarding this location, including accepted items, please click here. If you did not find what you were looking for or if you simply have more questions regarding recycling, please feel free to contact Kendall County Health Department’s Environmental Health Services at (630)553-9100.